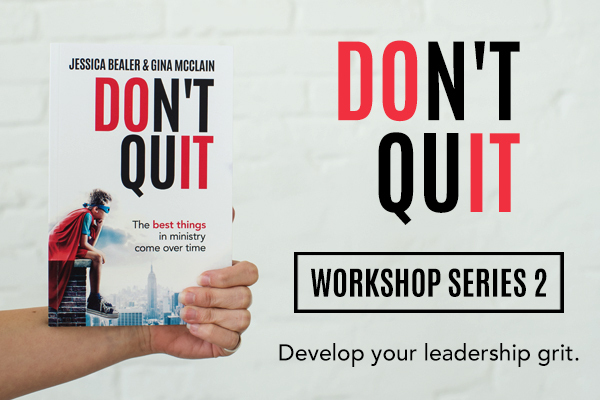 Jessica Bealer and Gina McClain host the Don’t Quit Workshop, a multi-part series for leaders in children’s, student, and nextgen ministry looking for practical ways to develop their leadership grit. This workshop unpacks key practices from the book Don’t Quit that can help leaders overcome common leadership challenges. But don’t hang up your cape just yet. The best journey is one in which you have the confidence of calling and an intentional strategy that gives you practical hope through the difficult times. Staying with it takes tenacity, vision, purpose, and a plan to make every day and every person count. In Don’t Quit, Gina McClain and Jessica Bealer draw on their own extended experiences in some of the nation’s most well-known family ministries to encourage every leader to stay superhero strong. Dale Hudson, ministry coach and founder and director of BuildingChildrensMinistry.com. “Every ministry leader walks into a job with expectations, but some people are smart enough to recognize those expectations and convert them into fuel for the long haul. I cannot think of two better people to deliver such practical and potent truth about ministry life…. This book is a resource that I wish I had when I first got into ministry, but I have been deeply encouraged by it after 22 years of ministry. Jessica and Gina share a wealth of life experience in ministry and leadership. Nearly anyone who leads in ministry will resonate with Don’t Quit. Whether you’re a year in or a decade in, there’s a reason you started. This book may be exactly what you need to keep going again and again. Click below to download a free sample of Don’t Quit. Gina McClain has led children’s ministry for 17 years, including 10 years at Life.Church in Oklahoma City, and 8 years at Faith Promise Church in Knoxville, Tennessee. 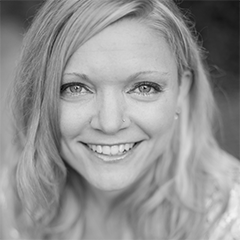 Currently she serves as the nextgen pastor at Cross Point Church in Nashville, Tennessee. 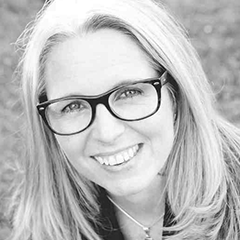 Gina teaches, mentors, and writes on the topic of ministry leadership and personal development. She and husband Kyle have three kids. Purchase multiple copies of Don’t Quit and save. 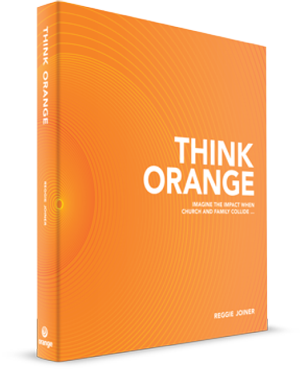 The classic text on the “orange” approach to family ministry: Combine the heart of the family (red) with the light of the church (yellow) and you will make a greater impact on the next generation. 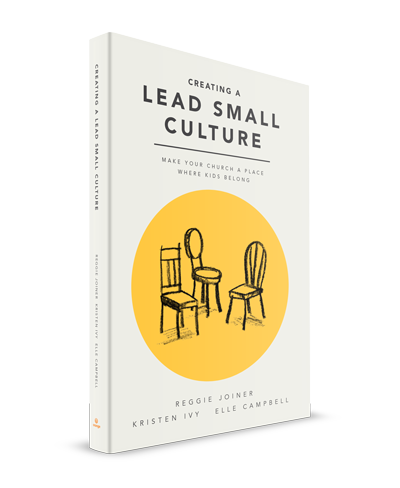 A strategy for discipling the next generation through an effective small group culture. 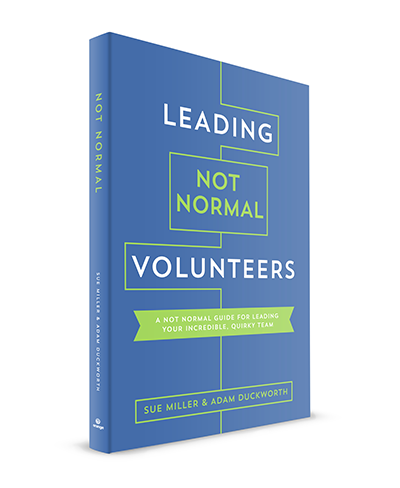 A field guide to leading volunteers, leveraging their quirks, and equipping them to become incredible. 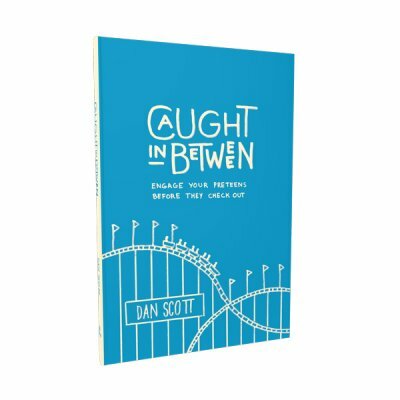 A comprehensive strategy for engaging preteens before they get lost in transition between your children’s and middle school ministries. For leaders in children’s ministry and youth ministry (because it’s necessary to catch preteens on both sides of the divide). Sign up to (1) join the private Facebook group that will host the discussion, (2) stay in the loop, and (3) receive all the premium content.